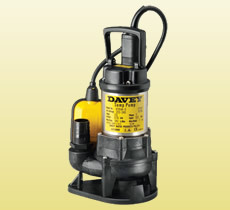 Double cased sump pumps are ideal when the pump is at risk of only being partially submerged. 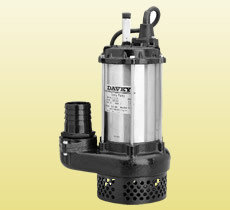 Full flow of water pases over the motor helping to keep it cool, extending the life of the pump. 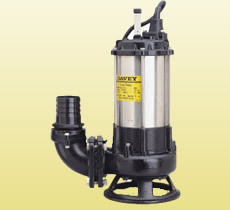 Semi-vortex open impeller sump pump design that is less susceptible to blockage and suitable for pumping light slurries with soft solids in suspension. 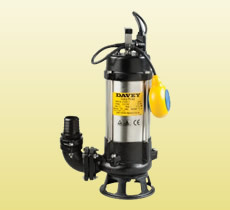 High head, single channel, sewage handling, submersible sump pumps capable of pumping soft solids. Installing with slide rail kits is recommended. 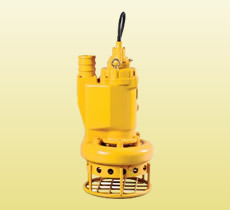 Single channel, sewage handling submersible sump pump which contains a cutting impeller, for handling long or string like materials. 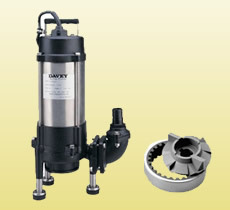 Submersible pump consisting of a solids handling grinder inlet with a high head open impeller to pump waste water containing soft solids in suspension. 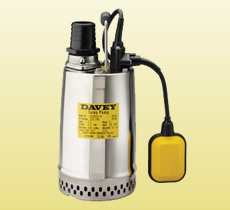 KZN model sump pumps are a commercial, heavy duty, top discharge, dewatering pump designed for pumping very dirty water and farm wastes.